SocketSite™ | Will Millennials Tax Family Housing in SF or Flee with Kids in Tow? Will Millennials Tax Family Housing in SF or Flee with Kids in Tow? San Francisco has the lowest percentage of children of any major city in the United States, with only 18 percent of San Francisco households including a child under 19 years old versus a nationwide average of over 29 percent. But it’s not a new phenomenon. And 37 years ago it measured 18.9 percent. But with Millennials now accounting for the highest percentage of the population in San Francisco, said cohort starting to reach the average childbearing age (which is 33 for women in San Francisco), and a preference for urban living having emerged over the past decade, concerns about a lack of focus on the development of family friendly housing in San Francisco, versus the building of ever smaller units targeting single tech workers with six figure incomes, is gaining steam. Released yesterday and slated to be presented to San Francisco’s Planning Commission tomorrow, the Planning Department’s “Housing for Families with Children” report is intended to spark a conversation “between agencies, policymakers, and communities” about the dearth of family-friendly housing in San Francisco. That being said, once the Millennial generation hits peak childbearing years, it could very well follow the generational patterns of yore and exit the city once families begin to form. None of these policy ideas will be effective. Parents leave SF when their children are able to walk because they don’t want their kids walking in / falling face-first into piles of [street] poop. Simple as that. True for some neighborhoods but the West side of the city is fairly family friendly if you can get into a decent school. I’m starting a family in the Sunset now myself. I agree, but the west side of the city does not have “urban living” and is not closer to amenities of SF than is Oakland. Indeed, Berkeley and Oakland can be said to be closer to the northeastern quadrant of SF compared to parts of the Sunset. So perhaps we should discuss this not based on the rather arbitrary political boundaries, but on the basis of travel time from some particular place. Why are you equating “urban living” with the “amenities of SF” for kids? Ocean Beach, Golden Gate Park, the Zoo? – kids love this stuff. Also, what is you demarcation of SF’s urban neighborhoods? The report IMHO makes the mistake of claiming that millenials prefer urban life, and therefore will live somewhere in SF. My point is that “somewhere in SF” consists of 25% city and 75% drab suburban blocks. There are neighborhoods of quality equal to the Sunset, all over the Bay Area. My guess the reason you live in Oakland is you can’t afford a place on this side. Its called cognitive dissonance to bad mouth us so that you don’t feel as bad not being able to afford it. Keep working hard and one day you’ll be able to join us. Jake, many people in the East Bay can afford to live in San Francisco; home prices in Berkeley are nearly as high as in the city. Others can afford to live in SF but prefer to spend a lower % of their income on housing. My wife still thinks we will rejoin you some day. I am not so sure I want to anymore. Just give me my fast train! The level of tetchiness San Franciscans have for suggestions that other parts of the Bay Area have advantages over Parkside and the Outer Sunset is really amusing. BTW, that ain’t this Jake. I would never conflate cognitive dissonance with halitosis. The former being neurological, the latter bacterial. FWIW, the pattern in SF at least post dotcom has been a slight increase in births and kiddies about 5 and under, but enough of ’em move out of SF (mostly to within bay area) for there to be a slight decline in the school age population. Another example of SF’s overflowing suburban diaspora. Plenty of folks choose outside of SF for better quality of life than you can get in SF. Nobody is going to say Marin and San Mateo counties are cheapo places to live. And even right in the middle of Oakland you have Piedmont, which rivals Atherton for high-priced snooty real estate, while having a very highly rated school district. The reality is that the housing stock in SF is predominantly condo or SFR attached on 2500 sqft lots. Whatever you pay for in SF will get you a lot more house and yard even just a few miles out of town. And most of what you give up are the proximity to all the clubs, bars and other places you are not likely to take your kids to anyway, because most businesses in SF are frankly not kid-friendly. Believe it or not jake, many people don’t want to live in sf even though they could. The pedastool attitude many in sf have is a factor in this for many as well. I love sf and love coming here and work here. I choose to live in the east bay and it has nothing to do with money, gasp, I actually could afford to live in sf and choose not to. Imagine that. Because it is all about “working hard”. That is the only factor. And only San Franciscans do socially valuable work. It must be nice to live in such a special place where only equally special people like yourself live. It is not as simple as that. Do you have kids and did you leave the city? I lived near Lafayette Park, before its remodel. Two major issues were #1 the homeless retirement resort in the northeastern part of that park and #2 clueless dog owners who think it’s cute when their livestock jumps on your child, and also dog crap of course. Both I would have to say are strongly related to the issue of poop. However the chief reason for leaving that particular dwelling was that it was so drafty, cold, damp (from the fog), and noisy (from the street traffic) that it just wasn’t suitable for a child even though it was a huge flat with plenty of space. The quality of most existing dwellings in SF is very poor even in expensive areas like Pacific Heights. The only people who can afford to have children in San Francisco are the uber-elite and the immigrants. Let’s state this another way. Only a (shrinking) certain type of middle class family would ever want to live in SF. Looking at all of the employees with families that work at the company I do (and have a widely ranging net worth from broke to $50MM), maybe 2% lives in SF. All the rest come in from the East Bay, Marin, or Peninsula. They think SF is an OK place to work (though less so every year due to horrible commutes via any means), but a lousy place to live, especially for those with kids. When I visit family in Palo Alto….no bums, no trash, no crime, great schools…but a pretty boring lifestyle. Same with my work group. Many at one time lived in SF and over time have come to not really miss it. For some of the reasons you say. Curious choice of peers in the chart. But anyway, if the age group is approaching the AVERAGE age for child-bearing – which at 33 seems awfully high – then I would think we should already have an answer, since there must be a (presumably normal) distribution around the average age and the cohort has already entered that…right? As you can see the demand for single family homes is sky high and will remain that way as millenials get older and want kids. Not to mention the fact that the city does not build single family homes anymore. Why can’t Americans raise families in apartment units? I grew up in an apartment unit and I turned out to be okay. Building 3 bedroom units in high rises sounds like a good solution to me. our edwardian duplex lost its only child in September when our tenants moved to Palo Alto to their prior investment home (though they also own a condo in Noe Valley). they moved for the schools. i for one find this idea of “family sized units” very 21st century first world. our unit is 1200 sq feet and we use it as a 2BDR/2bath but it was a 3/1 per a prior owners’ daughter. she knocked on our door and asked to visit her closet…bedroom when we were remodeling. our upper unit is now 3/2 but was 4/1 for most of its history. there are lots of family sized apartments in SF – they are just all rent controlled and filled with adult roommates and have low turnover rates. we don’t allow unit combining and our TIC conversion rules make many of the larger units too much hassle for anyone, especially anyone with children. you get what you legislate. A bit overstated. I’m raising a kid in the city and I am neither uber-elite nor an immigrant. We’ve been very happy with the public elementary school she is in. We’re going to stick it out as San Francisco is as suburban as I am wiling to go and despite the small percentage of kids there are actually a ton of great kids amenities and activities in SF. Housing is the big issue though if you have more than 2 kids. Kids in the city schools have great field trips which are often impossible in the suburbs: ballet, symphony, A.C.T., SF Jazz, museums, etc. I’m talking specifically about class field trips, not family weekend outings. Are you? If so, then great. Yes classes in the suburbs do take field tips to SF although likely not at the same rate. I think it mainly depends on the school and parent community. I went to Presidio Middle School and we went on trips/excursions on a regular basis throughout the year including Yosemite (some went to Washington DC/NYC, Olympic Nat’l Park), band camp, all the places you mentioned, etc. I would highly recommend Presidio. Also, SF Public Library (anyone can sign up) has free passes to city attractions through the Discover & Go program. Other libraries have similar programs. AnonAnon, wait until middle school. I’m so glad this topic has come up as I’ve been wondering about this for a couple of years. During the dot com bubble, most of tech seemed south of the city (except for a bunch of small startups). So a lot of younger tech workers were on the Peninsula or had to commute south. Then big tech headquarters then moved into SF to attract the younger crowd they needed to scale their businesses. All those younger tech workers are now getting a little older and having kids, and you have to believe a lot will leave. Will this cause tech headquarters to move as well? Not sure. I know Google is exploring a new campus near Santa Rosa. Isn’t Uber moving to Oakland? Tech/urban might evolve into Tech/suburban. Will be interesting to see. Why does your impression about tech being on the peninsula change? SF has some headquarters obviously (Twitter, Uber, Salesforce) and some satellite offices (Google, LinkedIn, many others) but the really big offices are entrenched in the peninsula and south bay. I can’t think of any “big tech headquarters” that “moved into SF”. LinkedIn kind of moved to SF, they still have a south bay office but they opened a massive SF office. Other big ones are: Airbnb Pinterest Dropbox Twitch Stripe Zendesk Adobe and tons of other smaller ones that has the potential to reach to a ~300 person company within the next couple of years. Vast majority of the Bay Area companies in this list are in SF. LinkedIn has not moved to SF. They opened a big office in SF. But they have much much bigger offices in Sunnyvale and Mountain View. Funny that you didn’t mention Google, who have much more square footage than the LinkedIn office you characterized as “massive”. No Uber is establishing a co-HQ in Oakland, which – depending on who you listen to – means either what it says, or a dumping ground for low value employees. Uber is currently building their “Global HQ” in San Francisco, in Mission Bay. Construction is well under way. Oakland is just another satellite office– Uber has a bunch all over the world. You can tell yourself that, but it isn’t true. I think it is pretty certain that the Oakland office is merely a satellite for Uber, to move operational staff out of their expensive SF digs. Also the preponderance of evidence suggests Uber will run out of cash and collapse before they are able to occupy the Oakland site. I think the move of tech workers as it evolves will be more out of the Bay Area altogether and to places like Seattle and Austin. So we need to put a moratorium on all development right now, amiright, Dave? The school assignment system is a major issue for families. It’s a shameful system that often requires parents to send their kids to a school 5 miles away rather than to a school a few blocks away. My wife and I had a condo that would have been sufficient for our 2 young kids, but with SFUSD not allowing our kids to attend the school just a few blocks from our home, we instead moved out of the city. I can’t imagine we’re alone in being forced to make that decision because of the school assignment system. FYI the system currently gives greater weight to your neighborhood school than in the past, but it is not a guarantee and you are right that you could get an assignment in another part of the city from where you live. Can you elaborate how SFUSD does not allow you kid to attend your neighborhood school? Have you applied but not been assigned? The assignment system give priority the neighborhood kids (contrary to your impression that it requires the kids to go 5 miles away). Unless the school is among the super popular you should have a good chance. There are a lot of uninformed opinion about the SFUSD assignment process. @Wai Yip Tung — If you live near a desirable school, you will not get into that school. “Neighborhood priority” is the absolute last thing on the list of school assignment “tiebreakers”, and therefore holds very little weight. If you live near a terrible school, then sure, you’ll be able to attend that terrible school. Furthermore, to even get into *any* school on your list, you could very well have to go through 2 or 3 or 4 rounds of the slotting system, which takes you all the way into September, several weeks into the school year. That is disgraceful, and the school board should be embarrassed that they have endorsed such a broken system for all these years. Fact is SFUSD has explicit policy to give priority to neighborhood school. It does not guarantee the assignment. You can argue how much weight it should give to neighborhood school. But the fact is it has priority. To say SFUSD do “not allow” kids to go to neighborhood school and “require” them to go 5 miles away is false and misleading. Also 85% of kindergarten applicants get their assignment in the first round. 15% unfortunately have to try second or third round. But this is misleading to think it is a typical experience. In addition, your statistics are incorrect. 85% of applicants do NOT get their top choice in the first round. That number is 60%. The 85% stat refers to the percent of applicants that get assigned to ANY school on their list. That means if you have 25 schools on your list, and you get assigned to your 25th preference, you are still counted in that 85% number. Meanwhile, that leaves 15% of students who don’t get assigned to any school on their list. Anything above zero should be unacceptable. First of all “require” is absolutely the wrong word to use in any sense. Secondly, given 85% of applicants got one of their choice (I never said top choice, even though most actually do), what you are describe is an atypical case. You are perpetuating a common myth when people think of it as typical outcome. Also have you applied? Sounds like you are criticizing SFUSD base on a hypothetical scenario. Fact: We live 1 block from our attendance area school, it was our first choice, my child did not get it on any round. Fact: Less than half of the kindergarteners in our neighborhood got our attendance area school. Fact: More CTIP attendees than neighborhood attendees in our attendance area school. Opinion, well-informed by facts: the SFUSD lottery process is broken. @gumby, to be precise, the enrollment did not work well for you because of the CTIP rule v.s. neighborhood school rule. The school was filled without using lottery. If it is up to me, I would switch the neighborhood school priority over CTIP. You have a legit objection to the process. However doing so will do little to improve the SFUSD enrollment process. Basically you are in the small minority who desire a popular neighborhood school and cannot get in. You are different from the majority of applicants. More than 75% of applicants do not put their neighborhood school as their top choice. I support tweaking the rule to help a special group. But it is not an evidence to say the process is broken, nor it can be significantly improved by this tweak. @Wai Yip Tung, to declare, “You have a legit objection to the process” establishes you as some sort of arbiter; not exactly a sign of a productive debate. If more than 75% of applicants don’t want their neighborhood school, then the system is in desperate need of repair, regardless of criticism or praise for the existing lottery system. Quality schools, neighborhood by neighborhood (and the beneficial community aspects that come with that) should be the goal of SFUSD. The convoluted system in place today is no point of pride. That is not my experience at all. My daughter has a lot of classmates within the neighborhood, many of whom live within 4-5 blocks that we run into on the weekends and evenings. Four of her classmates she was in daycare/preschool with and now are in her elementary school, so they’ve grown up together in the neighborhood. As noted above, the assignment system has moved to assigning greater weight to schools near your house. Would you be willing to share what neighborhood? Yes, Sunnyside. Sunnyside Elementary received a CA Distinguished School award in 2014, so it has gotten more popular over the last several years, but everyone I know that lives in the neighborhood and applied was able to get in. They’ll leave and the city will continue to get older and be stretched financially to provide social services. There’s nothing policy can do to fix this, the window has been missed when you look at the situation through the lens that any transformation would be incremental and decades-long to product a meaningful impact. Maybe they can fix it for the next generation. Ok, you got me – technically not HQ, but a lot of offices and workers. This city is very different now from the dot com bubble in terms of diversity of business and composition of work force. The point remains. Have a great day. The whole thing boil down to lack of affordable housing in SF. The issue will ease itself when the supply of housing increase. There is no need to tailor make housing for families, especially if doing this increase the cost. “Family” does not necessary need three bedrooms. They need something they can afford. An interesting finding of the SF Chronicle article that featured this study was the following: of the +25k new housing units created since 2005, less then 10% had 3 bedrooms or more. That’s less than 250 new units per year! This illustrates why prices for SFHs keep on rising. Supply is flat and demand keeps on rising. Before we see a large scale drop in high-paying employment, prices will not come down. As people start families priorities change. Being close to the densest urban parts of SF starts to fade as a priority. Schools, safe streets, backyards with enough room for kids to play and homes larger than the typical Sunset special become higher priorities. This is nothing new – the suburbs around SF initially grew because families wanted more space and so moved to San Bruno or San Mateo. SF’s physical structure from the Sunset to Ingleside to the outer Mission is not family friendly. Really, few neighborhoods are and they tend to be the most expensive. In my area over the past 5 years a number of couples have moved in with 1 kid. Once the second is on the way many choose to leave the city. They want more room is a common refrain and are worried about the streets here which are very dangerous because of the parking situation. Which they ironically add to as they park their 2 or 3 cars on the street and use their garage for storage. Kids or not, most of the people I know West of Twin Peaks don’t go downtown or to the “northeastern quadrant” on any sort of a regular basis. So moving to the East Bay (most recently a neighbor couple and their kids moved to Lafayette) or the Peninsula to have a better neighborhood and schools does not produce any special hardship. One can still easily make the occasional trip to SF. I had my car serviced in Burlingame this AM. Despite the rain I walked around the retail area and surrounding neighborhood. Beautiful detached homes with nice yards, streets not parked wall to wall with cars and a retail area as quaint and charming as anything SF has to offer. This plan is done with the best of intentions but, IMO, it is pointless. Families have been leaving SF for better outlying neighborhoods and quality of life reasons in surrounding cities forever. This is nothing new and this is not going to change. If you look at the cities at the top of the list three of the top four (NY, LA, Chicago) are huge cities where suburban options are far from the city-center, at least in terms of commute time. Those on the bottom have well developed sub-urban options that are near by. Where the option exists and people can afford it, those with kids will choose the suburbs. That’s a good point. 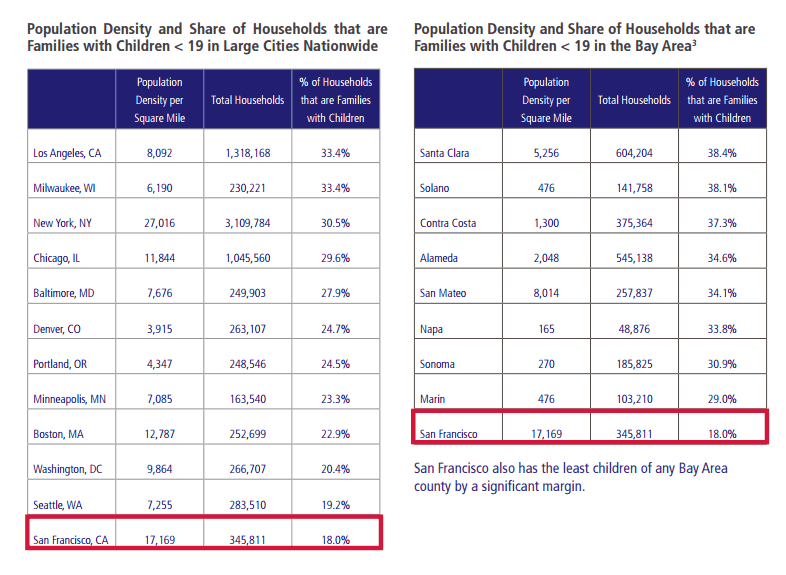 There is always a lot of gnashing of teeth about how SF has the lowest percentage of children of any major city. HOWEVER, we are the tiny dense urban core of a large region, and are by far the highest density city with the obvious exception of NYC. NYC is a special case, which has both high density and high % of children; but if you separated Manhattan from the rest of the boroughs you would probably see a huge distinction, and a similar pattern to SF and it’s surrounding region. In other words….there is nothing to see here…..
im sure upper manhattan has a much higher rate and lower manhattan to midtown a much lower rate. Dave, the neighborhoods south of the 280 are quite family friendly. E.g. Portola boosts two excellent private schools. There is a newly renovated sports center and playground (Palega). McLaren park is close and commutes to jobs in the city center are not horrible. While not cheap, the median house price of 900k is low compared to the rest of the city and comparable to what you pay on the East Bay. To me, this is quite family friendly. Attract more families w/ better school assignment & high performing schools. The options here are 35k private school or generally crap public schools that stress parents out. TO START JUST GET RID OF RENT CONTROL to attract voters who care about the City schools, the City streets, the crime, who will vote out bloated Government spending on frivolous programs and spend it where it’s needed, finally cleaning this City up. Rent control or not, SF is increasingly a city of transients. It always has been of course, but it is “worsening” that way IMO. Too many SF residents accept the ridiculous condition of many streets (Sloat, road around Lake Merced) , lack of attention to existing green space – unless it is to yank out 17K trees throughout the city over the next decade (Significant Natural Ares Management Plan). Too few take ownership because too many see SF as an interim stop on their career/life journey). IMO and experience. Voters should hold the city PTB accountable for boondoggles like the TTC, delayed electrification of Caltrans and the paving over of more and more of the little open space there is in SF. But they don’t. Proof that transience is increasing? 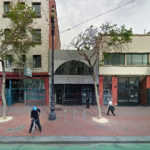 Which open space in SF is being paved over? parking lots at gas stations, of course. We are raising a 5 year old downtown and it is extremely tough. Why? People are jerks to our child and tell us why he should be seen but not heard almost every single day. Today, a guy walking down the street told me I should teach my child to walk in a straightly line instead of cutting him off. Really? Adults cut me off all the time. This summer, we visited NYC and met many people who treated our child very well. These New Yorker’s behavior was 180 degree opposite of what we experience in SF. We own our apt and the child to dog ratio in our building is 1:9 or 10. Our HOA wants to add amenities for the dog owners while restricting our child’s rights. We shouldn’t need to consult HUD about Federal Fair Housing regulations yearly. We see the public and charter school lotteries as opportunities. We have applied to public/charter and private schools this year. All the acceptances will arrive in March. The hardest part of the process was taking the time to tour and apply to the schools. We toured 28 schools over 2 fall seasons and saw many amazing schools where Children are learning incredible things. That was a big time commitment and we had to juggle work and childcare to do this. Many parents flee the city before kindergarten in order to avoid this situation. I will not even describe the Preschool process – which is very stressful. This city needs more preschools, especially in the downtown. In NYC you walk down the street and you see people of all ages. You can walk the streets of SF for years and never see anyone between the ages of 5 and 15. That’s a big difference in the life of those two cities. I see kids walking around, alone and in groups, pretty frequently in the Richmond. Hyperbole much? I live in between two schools in the Western Addition and next to a park. So rare is the day I don’t kids in that age range. I also see quite a few kids downtown in the summer, but most of them are tourists. I don’t know what your plan is regarding public vs private school, but we found it very stressful to transition from one to the other. In my opinion if you are considering private school for later (later in elementary or middle school) it’s much easier to get into a good private school from the start. We thought we were smart and enrolled our kids into a good public elementary school thinking we would transition into a private middle school. Oh boy what a stressful experience that was. There is a lot of demand and not enough class space. Barely 1-3 spots opened up in each of the schools we applied to for the 4th and 6th grades. We did make it into the school of our choice, but it was a very stressful experience. I’ve taught my 5yo to move in a straight line whether he’s walking or on his bicycle or scooter. It took a little work, but that’s what you need to do in a city for the safety of the child. It’s not just about courtesy. SF is the tip of a peninsula and can’t sprawl out – this is good and bad with one of the main bads being RE prices. Space is limited and forces of supply and demand take over. However if you can afford it I can’t think of a better place to raise a family – culture, climate, world class schools(private), center of tech, tahoe, napa, air quality, the views/beauty, walkability etc, etc. Yes I wish it were warmer in the summer (it might happen with climate change), less homeless, less traffic, better access to highways from my northern neighborhood. If only someone had invented the technology to move people and vehicles across a short distance of water. “SF can’t sprawl” is a lousy excuse. SF has been sprawling for over a century, people just choose to not call SF suburbs what they are. This is why all these statistical comparisons of SF to Chicago, LA, etc. are nonsense. Wow, not sure where to start to respond to the torrent of ill-informed assumptions here. I’m neither a millennial, not uber-rich, but a household of 2 public sector workers and one kid. Where I live in outer mission is NOT suburban in any way – no suburb I know has row houses on 25 foot lots, and I challenge anyone walking down Mission between Silver and Geneva to compare it to the suburbs. That said, there are lots of kids in the area – district 11 has the highest number of kids in the city, proving it’s not that hard to raise kids in 1300-2000 square feet. Some places have decent sized yards, but there are lots of parks within easy walking distance, most of which have been upgraded in the past 10 years. I get all the benefits of living in a diverse, vibrant neighborhood, with all the amenities of the greater city within easy transit or driving distance. Oh and I only have 20 minute commute door to door so I actually have more time to spend with my family – try that living in Walnut Creek and working in SF. I grew up in a small town, so it is often amazing to me that my kid is being raised in a city. Our experiences are very different but equally rich – he learned to take transit by himself at age 11, knows kids of all races, has come to expect international cuisine and worldclass museums as a matter of right. For all that he has to put up with the occasional discomfort of living in a crowded place. As for schools, there are many decent public schools, and the assignment process is getting more rational over time, not to mention the vast array of parochial and private school options for those who want something different. In the end it’s all about expectations and choices. Since many of the decent neighborhoods in the close-in burbs are equally expensive as SF, it comes down to what you expect as a “family-friendly” housing. 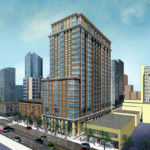 I for one think it’s good the city is thinking/planning about this, because housing mix matters, as does affordability. Yes, you make sacrifices when raising your children in a city, but you gain so many things as well. I grew up in a small town, but my wife was born and raised in SF. She envies many aspects of my childhood and I envy many of her’s. We are now raising our son in SF and although nobody loves to pay $30K a year for school, moving to a suburb would deprive him (and us) of so many enriching experiences that we never even considered it. From observation, week after week, Noe Valley is probably THE most family friendly neighborhood in all of SF. On any given day, there are hundreds of kids with parents walking on 24th St. And the new Noe V Town Square is teeming with young families and kids on any given saturday morning. One reason, among many, why it’s really a great urban livable neighborhood. There’s one in the report that we’re discussing. It doesn’t look like inner richmond has as many kids as other neighborhoods. I looked at that map. Inner Richmond is in the middle of the pack at 18-25%, same as Noe Valley. The only ones in the higher bins are the Presidio and Sea Cliff, the Sunset, TI, and the southern neighborhoods. So only most of the rest of the city is higher? no jwb, in looking at the report, inner richmond would be above the average in children, but not one of the very top. I think there are many neighborhoods within SF that are quite family-friendly, although they are frequently overlooked for various reasons. We live in in the Diamond Heights with our two kids (toddler & infant) and two dogs. The houses in our neighborhood are, for the most part, detached SFHs with plenty of outdoors spaces. It does feel quiet (suburban, dare we say) in our neighborhood, but we are also super close to all the ‘urban amenities” without sacrificing space or comfort. In a typical week, we do the 5 minute drive to Noe Valley on Saturdays for the farmer’s market, and the kids attend art/music classes and story time at the local library in Noe Valley and Glen Park – all within walking distance or a short drive/bus ride away. There are great playgrounds and green spaces within walking distance (Walter Haas Park; Glen Canyon Park and Dolores Park with their newly renovated playgrounds). We have memberships to the Academy of Sciences, the Fine Arts Museums (De Young & Legion), the Children’s Creativity Museum, and the Exploratorium, and visit these on an alternating basis. We have applied to the neighborhood preschools (all within 1 mile of our house), and then when the kids are older, we will apply to Miraloma, an excellent public school, to which we have the AA advantage (so our chances of getting in are pretty good). All this plus my commute to the FiDi is 30 minutes door-door on BART, which is better than what it used to be when I lived more centrally (but not on a BART line) pre-kids. And after we put the kids to bed, we can uber it down to the Mission for $7/under 10 minutes for a nice dinner. We find it to be a good balance overall. We may have to move once the kids are older, and attending schools north of market (not driving over 30 minutes a day to get to school/work is very important to us) but for now, the setup in our quiet south/central/west quadrant of the city works well. We have lots of friends in Glen Park/Noe with young kids, and their experience also seems comparable. Among my 30ish friends, a lot simply aren’t having kids – can’t afford it. It’s not just housing costs, it’s also student debt, low paying jobs, etc. Also long term concerns about bringing a new person into a world that’s going to sh*t. There’s a reason the generation after Millennials are called Generation Z… there aren’t going to be any more after that. 38 with 2 young kids in SF. While it’s hard to raise a family in SF and the upcoming school lotteries may push us to the burbs, people still have kids here, just at a lower rate than any other big city. One huge cost you left out is childcare. At $2k+/mo, it’s really hard to manage if you make <250K unless one person doesn't work or if you have a grandparent in town. I know a few parents at preschool who are likely below that threshold, but I'd say then are about 1 in 5. There was a big push 2002-2012-ish to cram “family friendly” units into pretty much every development. Lots and lots of 2 and 3 bedrooms were built and a lot of us looked at one another and were like, really? Is there a demand? No there was not. But then as always happens in San Francisco (much to the chagrin of its overly intrusive apparatchiks at SFGov) the unexpected happened: AirBnB and the tech swarm. No those units are filled to the brim, but just not with families. One trend my partner and I have noticed – the rapidly increasing number of gay couples (and in some cases, singles) starting families. Some are in the suburbs, but we’ve been surprised how many of our friends have chosen to stay in SF. Perhaps this will change as the children become school age, but it seems to us that SF is a hub of new LGBT families. Great comment and yes, I think many LGBT couples are starting families here. What’s not to love? “a preference for urban living having emerged over the past decade”. This isn’t true and in a separate comment you link to an article that contradicts this, showing that Millenuals prefer suburbs at a higher rate. Left the city 9 years ago when we were pregnant with our first. Looks like the reasons we decamped for the Peninsula are still the same. City hasn’t changed at all. As a follow-on, the NY Times published a piece today titled “Peak Millennial? Cities Can’t Assume a Continued Boost From the Young” addressing many of the same issues. Interesting that the piece points out that American cities reached “peak Millenials” in 2015, which happens to coincide with a real estate market peak here in SF.